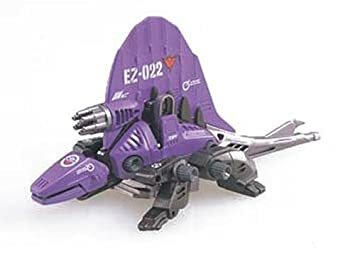 This just reminded me that I forgot to vote for Chrono Trigger's Black Tyranno. It was on my preliminary list but somehow I left it off my final. Most of the Godzilla movies I rented as a kid featured Anguirus (although all the dubs of the day pronounced it Angilas, so that's what I gravitate toward). In particular, my favorite G-flick, Godzilla vs. Gigan, includes a scene where Godzilla instructs Anguirus to swim to Japan to investigate the invasion by Nebula Space Hunter M. And he does so by talking to him...in English. The dub uses a strange record-scratch effect over their voices to make them sound, uh, monster-ish, I guess, but it's truly one of the more bizarre moments in a series known for lots of bizarre moments. Oh, but wait, that's not all! In the original Japanese version, which I didn't see until I was an adult, G and A talk to each other...using word balloons! This actually ties a little bit into the plot of the movie, as the human main character is a struggling cartoonist (I said a little bit). I guess the dubbers thought this would be too much for the audience to swallow, so the balloons were cut for the U.S. release. My favorite kaiju makes it in! Though Anguirus died in that movie, he nevertheless came back for several sequels where he was a close friend to Godzilla, until he was later killed again. (Pushes up nerd glasses) Actually, he only died in his first movie. He does get beaten up and badly wounded frequently in his later appearances, though, like the scrappy underdog that he is. All in the name of fighting evil aliens for us (except for the one time when he was mind-controlled by evil aliens, but that wasn't his fault)! Anguirus is the Krillin of the Godzilla series. At this point I am going to have to ask you to refrain from flash photography. You see, several governments offered to provide the capital that a theme-park like Jürassic Parkland in exchange for providing maximum-security incarceration for what the justice department considers "criminal reptiles". And to that end, we have constructed a super-max prison designed for one single occupant right in the middle of our tour path. But if you listen real carefully, you can hear his excited shrieks demanding death to the mammals, and how the tyrannosaur shall rule again. ...well, normally you can. He's unusually quiet today. Well, I'm sure that's nothing to worry about. Dr. Dinosaur (real name H'ssssk) is a recurring enemy of the title character in the comic series Atomic Robo. He claims to be a hyper-intelligent velociraptor sent to the distant future by magical crystals in order to prevent an unknown calamity that will destroy the planet in 2008 and save dinosaurs from extinction, but seeing as he in clearly insane and kind of an idiot, Robo disputes this. Despite appearances, Dr. Dinosaur is extremely skilled in the field of mad science, capable of building time-displacing bombs, light-sabers and, in one instance, a cyberborg tyrannosaur from an alternate timeline he called "The Chronosaurus". He is also my spirit animal. Possibly the Loch Ness Monster? On your right, you may notice a body of water! That's because our next dinosaur is aquatic! It's the Plesiosaur! You know, one of them long-necked jobbies who swim everywhere! You may be surprised to learn that they're fairly small, like, less than two-meters. You may also be alarmed to learn that they had long mouths full of sharp teeth, like a moray eel. Why, one of our handlers was rendered unto a gibbering wreck just by looking at it, and now sits in a corner muttering to himself "Mario 64 is real, Mario 64 is Real" over and over again! 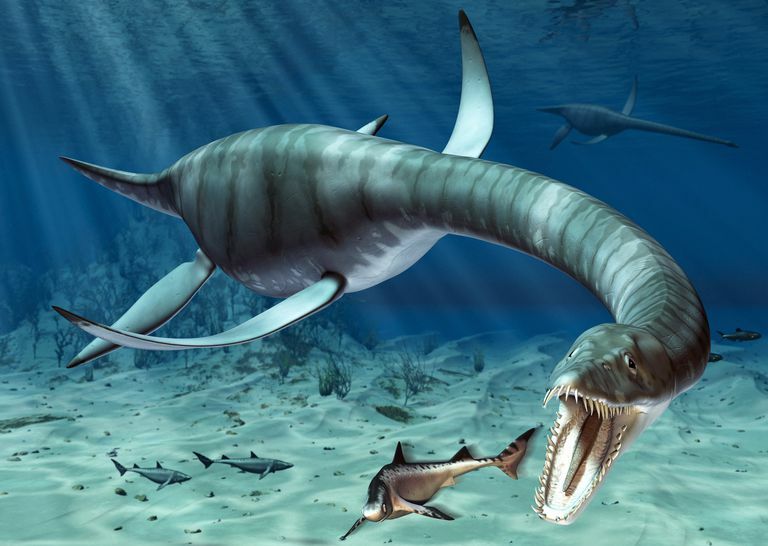 The Plesiosaur was a marine dinosaur from the Jurassic period, about 130-ish million years ago., and were like sea-turtles, except stretched out really far and without the shells, and despite being aquatic, they breathed air (like a dolphin) and kind of sucked at swimming (like me). They also laid their eggs on dry land because they just like making things difficult for themselves. No wonder they're all dead. Also, they make really fun toys to play with during bath time, but Google won't show me pictures of that. What are you trying to hide, Google? Yeah, I haven't read much Atomic Robo but Dr. Dinosaur is always a highlight. Oh my god I can’t believe I forgot Dr Dinosaur. My life is a failure. 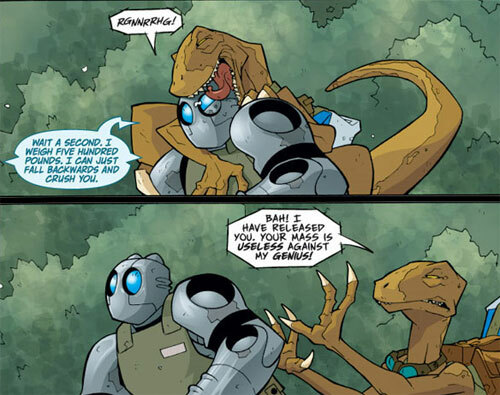 I never read enough Atomic Robo to encounter Dr. Dinosaur. Here are my wrists. Clap them in irons. I shall accept my sentence with dignity. Those of you with delicate constitutions may want to hold your breath as we pass our next exhibit. And, I know some of you may be thinking we're here just iin time to see feeding time for a dinosaur, or maybe one of our exhibits died and we haven't had time to clean it up yet. Rest assured, neither is the case; that massive pile of rotting meat IS our next exhibit; Gergoth! As opposed to many of the animals in the park, our Edugineers didn't clone Gergoth back to life, he was a donation from a reclusive European aristocrat who requested to remain anonymous. I will say that he said "Bleh" a lot, though! 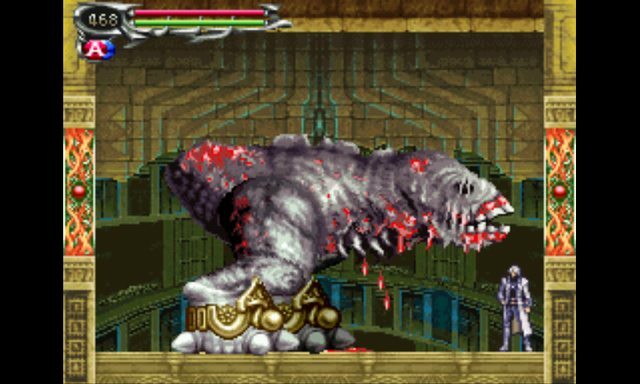 Gergoth is a recurring boss in several of the Castlevania games; appearing in Dawn of Sorrow and Harmony of Despair, as well as being an optional boss in Portrait of Ruin. In addition to it's enormous bulk, Gergoth can attack by exhaling a toxic mist from the gaping hole in its chest as well as exhaling an enormous laser. While the English releases of the games imply that Gergoth was an actual dinosaur that became corrupted after Dracula enslaved it (not really mentioning where Dracula got a dinosaur), the Japanese version of the game implies that Gergoth is a human criminal who gradually mutated into a decomposing tyrannosaur after all of creation cursed him for his wicked deeds. Either way, he looks SUPER gross. Ate all them tinier dinos! Made me say "Oh, I always wondered what those things were called". We've got another case of our financiers deciding to go all "educational" with our themepark next folks, so if you wanted to look at your phones instead of learning about something you can use in your day-to-day life about how dinosaurs worked, well here's your chance. And heck, you paid a LOT of money for this trip, why are you looking at your phones anyway? Millenials, I swear. Anyway, these are Dimetrodons, them big ol' floppy finned dinos you saw in every dinosaur book you had as a kid. I had no idea what they were called until just now! The Dimetrodon was an amphibious reptile from the Permian era, somewhere between 270 and 300 million years ago, going extinct long before proper dinosaurs evolved. Point in fact, it had more in common with mammals than dinosaurs (though it predates them by a good few epochs too). Weirdly, it's named for it's unusual sets of teeth (two distinct sets) rather than it's most noticeable feature; it's giant flappy, floppy fin sticking out of its back. It's not clear whether they used the floppy-fin in order to help regulate their body temperature, or if it was used in courtship rituals, but speaking personally, a giant ambulatory spinal fin is definitely the first thing I'd notice in a romantic partner. I had Mr. Dimetrious Don as #24 on my list so I might kick him out of bed for eating crackers. I didn’t vote for no old man! In general I love whenever paleoartists try to make real dinosaurs (such as the noted dinosaur, dimetrodon) look hard. In fact, like all animals, they were soft dorks. Not goth. Kind of surprised I didn't stick Dimetrodon on my list (despite its dubious dino-preceding nature). There's a great song about them by The Doubleclicks. Natural Selection: "Die, Metrodon, you don't belong in this world!" Now folks, I'm going to have to ask that you keep your arms and legs inside the tram car, and perhaps assume crash positions, because we're going to be speeding up a fair bit to get past the next exhibit; imported directly from a nameless neo-futuristic island made up of neon lights and cyber-commandos from a future-age, we have an authentic Blood Dragon. And they hate and eat humans and have lasers built into their bodies, and our insurance just can't cover another Blood Dragon related fatality. Why we even opted to include these things I do not know. Blood Dragons are the titular creature from the Farcry spinoff Far Cry: Blood Dragon. Besides being an order of magnitude stronger than nearly any other enemy in the game, the blood of a Blood Dragon has mutagenic properties, turning a frail human into a powerful Mark V Cyber-commando, though with the drawback of also gradually inducing insanity. I really need to play Blood Dragon sometime. I hate open world games, and I hate Far Cry, but Blood Dragon is aces. Even if you just play the first couple of hours and never touch it again, it's money well spent. The Next Bash is for you! It's just a car with a hammer attached to it. Guys, how much did we pay for this? Bashasaurus was a vehicle released in Mattels Masters of the Universe toyline in the early 1980s, shaped like a jeep with a dinosaur motif, it also had a hammer-like arm that came down when you pushed it forward. Near as I can tell, it never factored into any ancillary media, so this is everything I have to go on here. Up next is... huh... kind of a big padlock, actually. That's a surprise, the list says that next is Kraid, but he's only a little guy. And a wimpy one too. Hmm... must have been a clerical error. Well, that's why we're having this test run of the park before we open up to the public; just to iron out these mistakes. ...anyone else feel a rumbling? 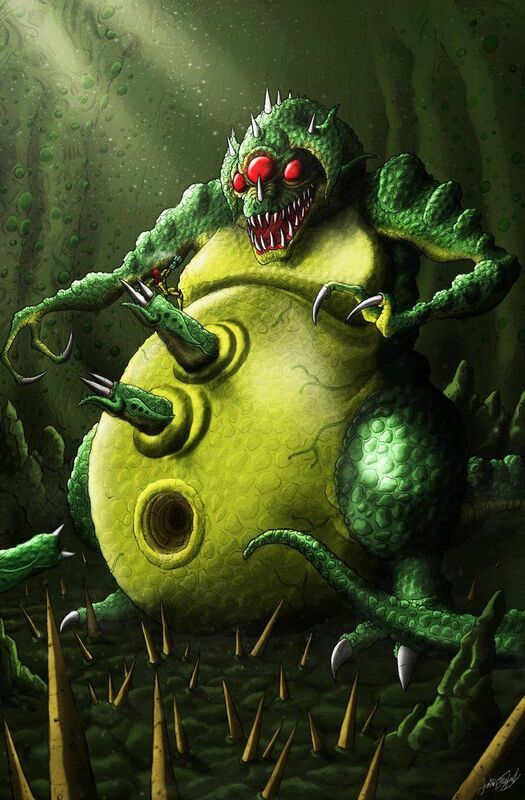 Kraid is a recurring boss-monster in the Metroid series; generally showing up as the lord of the Brinstar region of planet Zebes (and, in one instance, a very elaborate theme-park attraction). Except in the original game, Kraid has a very tough hide, virtually immune to all weaponry, but by tricking it to open its mouth, you expose its much softer inner tissue. Kraid is also notable for its surprising trickery; there are multiple smaller, much weaker copies of Kraid (the Fake Kraid) that also appear in his areas that mainly exist to lull you into a flase sense of security or lead you astray. Kraid's the second hit from my list! I think I decided that Ridley is a space dragon, but Kraid is a space dinosaur. I'll stand by that. So... Was Kraid in Metroid 1 another weak clone? There was a wimpy fake Kraid in it. But I always relied on the maps from Nintendo Power, so I never ran into it. Kraid is an awesome boss dinosaur. Glad to see he made the list.